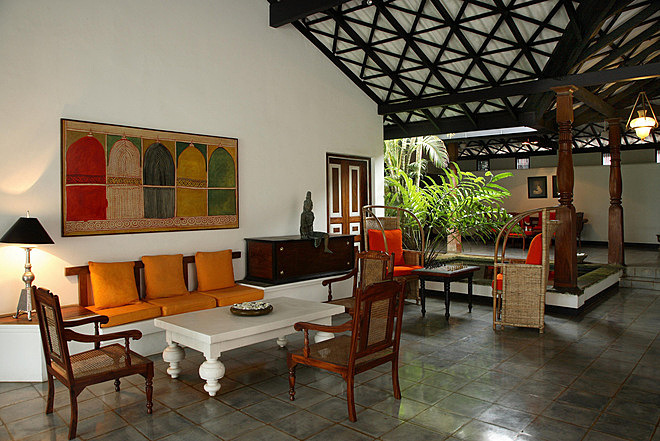 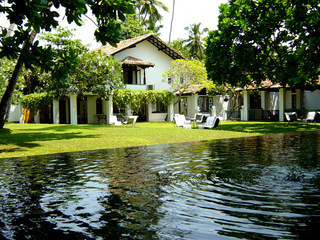 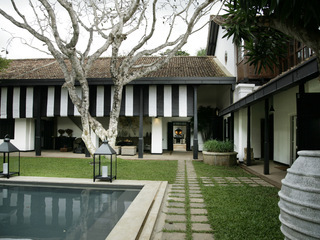 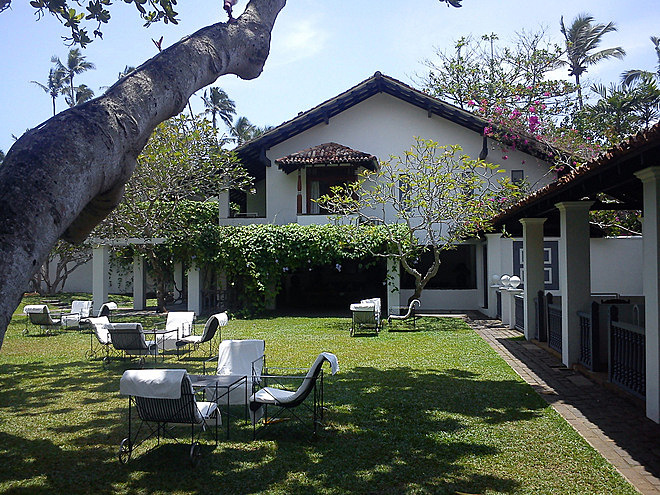 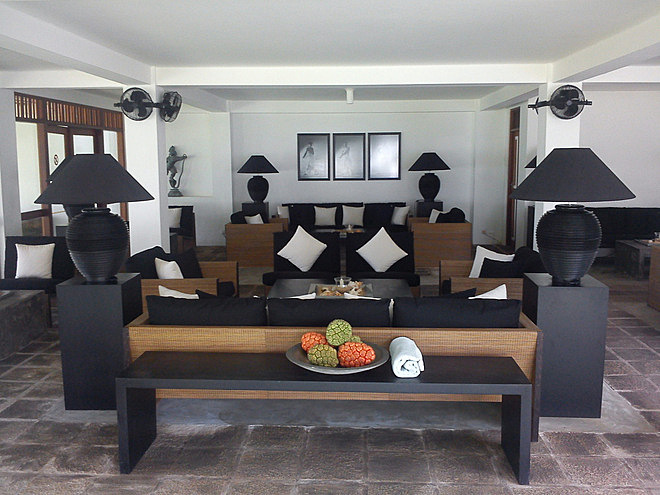 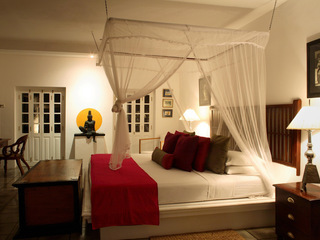 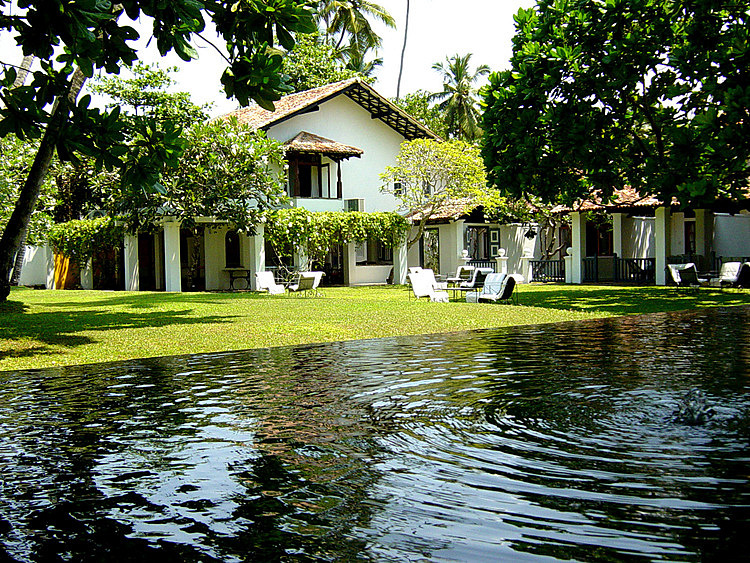 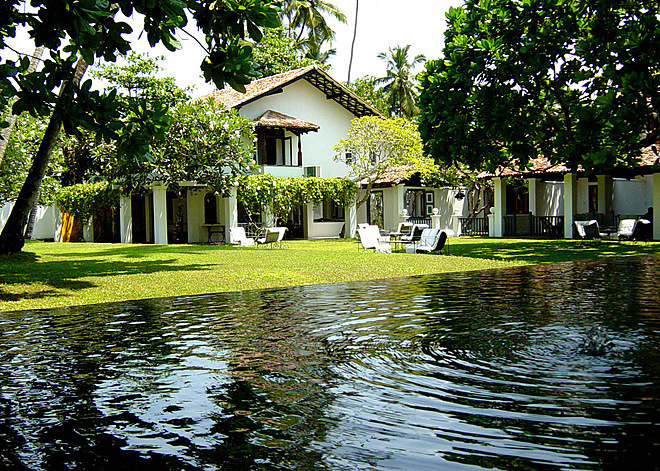 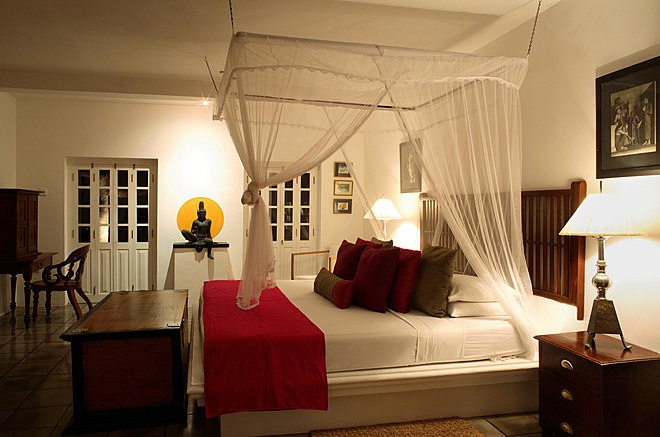 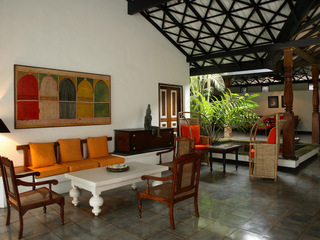 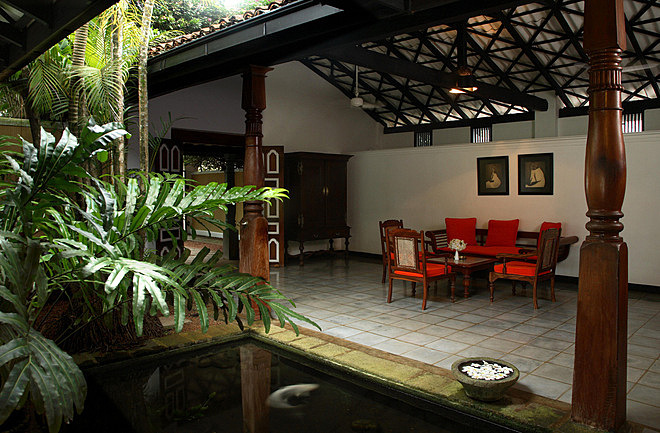 Club Villa is a serene beachside boutique hotel featuring Dutch colonial architecture and decor. 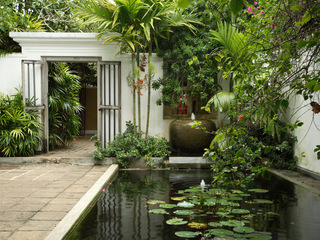 Set in lush, verdant gardens, the property is a stone’s throw from the beach, which stretches for over 9km. Styled as a home away from home, Club Villa has a pleasant atmosphere, friendly, welcoming staff and a location that guarantees plenty of peace and privacy. 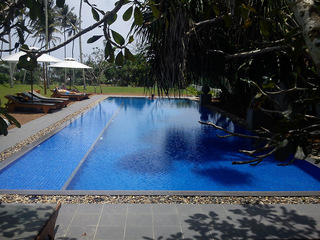 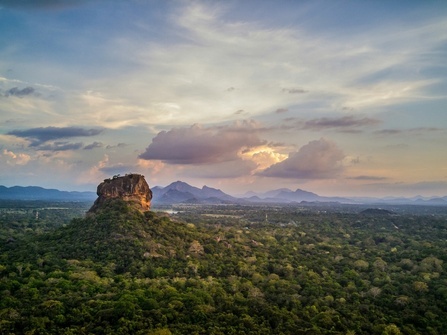 It’s located in the beach resort town of Bentota on the southwest coast of Sri Lanka, about an hour and a half’s drive from the country’s capital, Colombo. 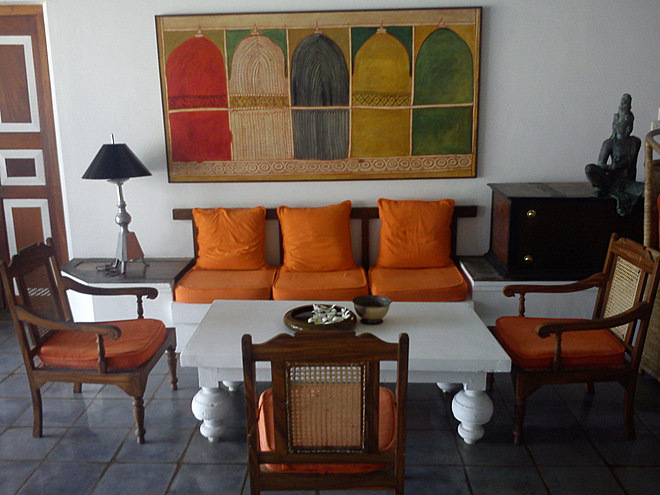 Each of Club Villa’s 17 air-conditioned guest rooms is individually styled and features a number of furniture pieces from the Dutch colonial period. All rooms come with great views of the beach or the property’s scenic gardens, comfortable bedding, lots of space and plenty of creature comforts. 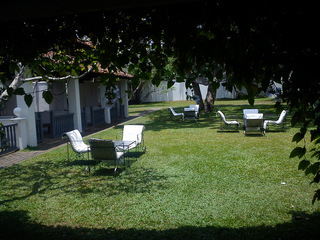 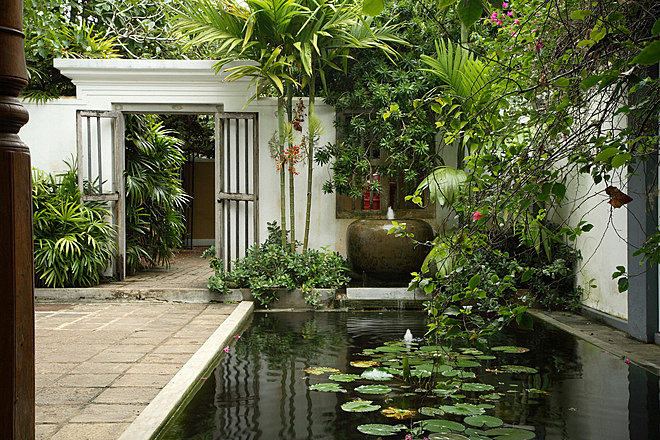 All of Club Villa’s guest rooms offer tranquility and seclusion, and some even have their own private garden. 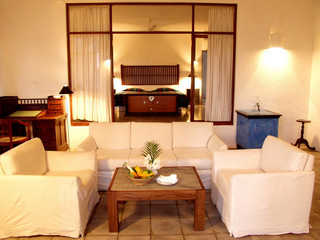 The highest grade of accommodation, the Club Suite, boasts a split-level bathroom, part of which is open-air, with a large jacuzzi, a monsoon shower and twin wash basins. Club Villa has an inviting freshwater swimming pool with a jacuzzi. 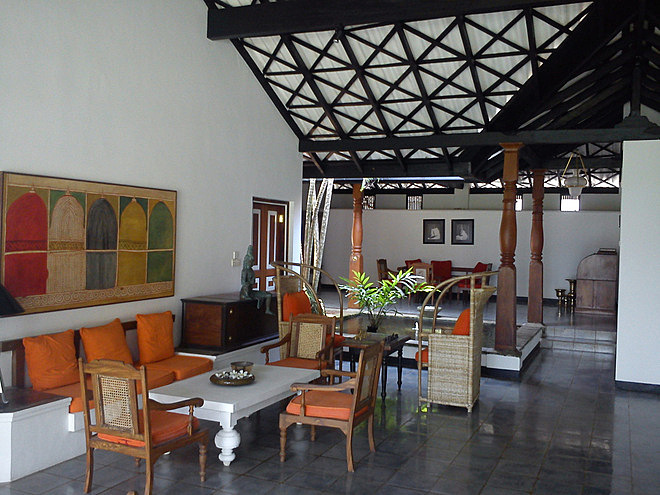 While none of the guest rooms house televisions, there is a communal TV lounge. Comfortable furniture is scattered throughout the hotel’s grounds so guests can unwind and admire the natural beauty of the gardens. There's plenty to do nearby including visiting the Kosgoda Turtle Hatchery and helping release baby turtles back into the wild, admiring the botanical wonders at the Bevis Bawa Brief Garden, shopping in Bentota or participating in water sports, such as windsurfing and waterskiing. When it comes to dining at Club Villa, guests can look forward to a range of freshly prepared European and Sri Lankan dishes. The restaurant is open-sided and guests can choose to dine under cover out of the sun, or al fresco - for an extra special experience, guests can request a seafood BBQ with accompanying champagne. 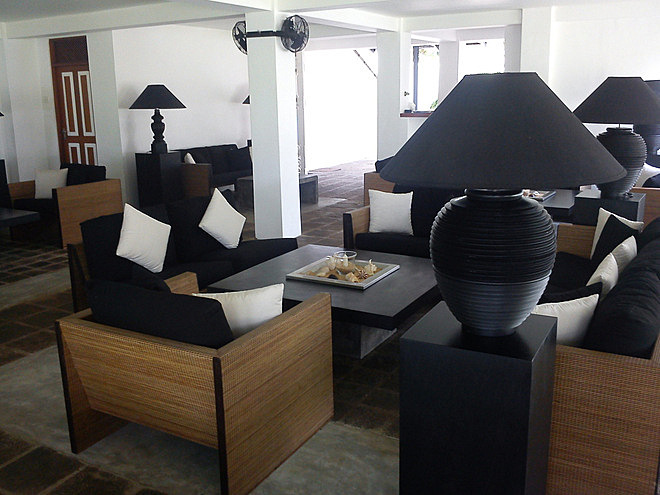 The lounge and bar offers a range of drinks throughout the day, including king coconuts served by the pool in the morning, and high tea in the afternoon. 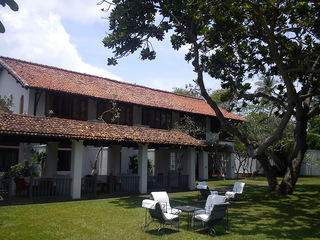 Club Villa welcomes children and offers a babysitting service with an English-speaking sitter. 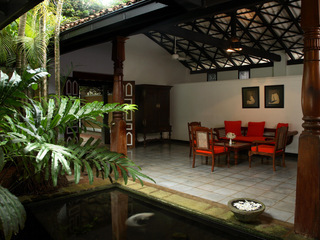 Books and board games are provided and the swimming pool conveniently has a shallow end. 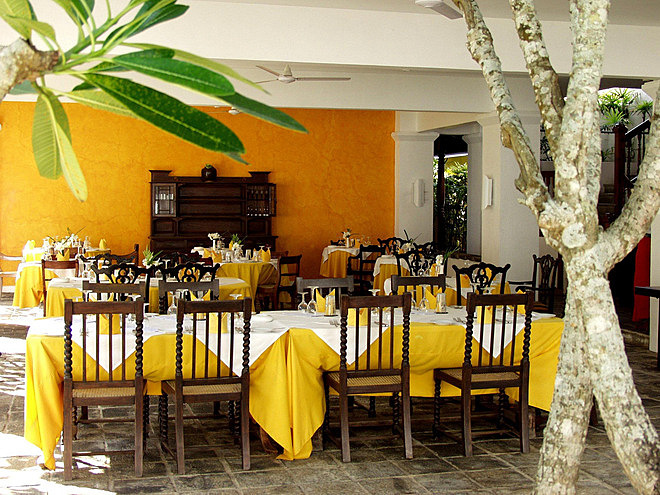 All children under the age of 12 receive a 50% discount for meals at the hotel’s restaurant. 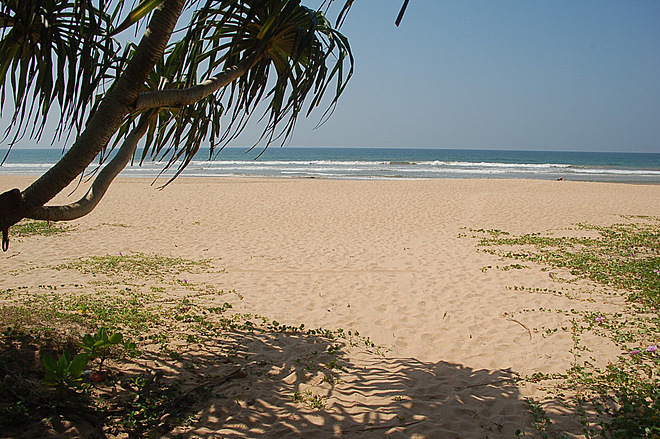 Parents should be sure to keep an eye on their children when exploring the hotel grounds as there’s an in-use railway line you have to cross to get to the beach. 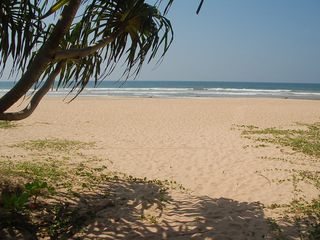 While some visitors find the train line somewhat intrusive, others enjoy waving at passengers as trains go by!